Never Lose Your Net - New Product! Mounts to the net's yoke where it’s out of the way. 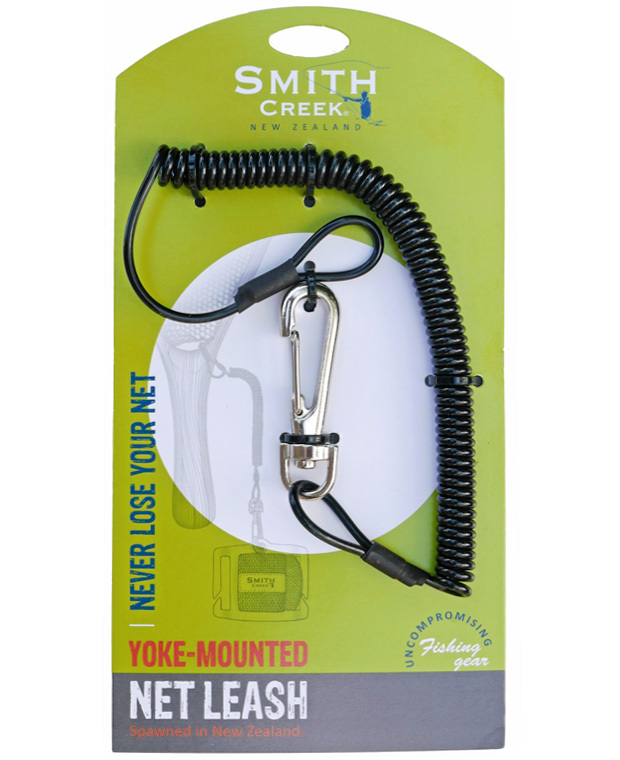 Developed by Smith Creek® on the water and designed so you’ll never lose your net. 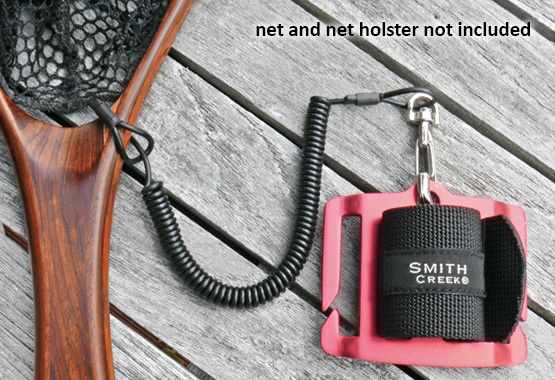 Suitable for all types of nets, it works especially well when coupled to a Smith Creek Net Holster™. One end attaches to the nets yoke (hoop-handle junction), where it’s out of the way. The other clips to your Net Holster™ or belt loop. The leash is 12” long and built tough. The coils are 10mm diameter and the attachment ends are crimped, not welded, for extra strength. And the crimps are rubber coated so they don’t scratch finishes. 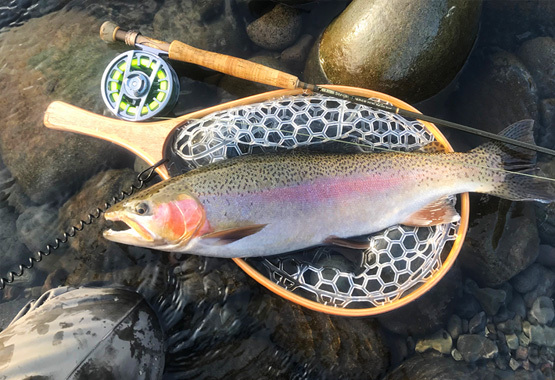 Attach the Leash to your net by simply threading the looped end around the bottom of the hoop below the net, then pass the clip and coils through the loop, like a loop to loop connection. Clip other end to your Net Holster or belt loop. Find a dealer near you on the Dealer Locator pages or Visit the Smith Creek Store. Wooden, composite or metal; short or long handled. Smith Creek - Umcompromising fishing gear.